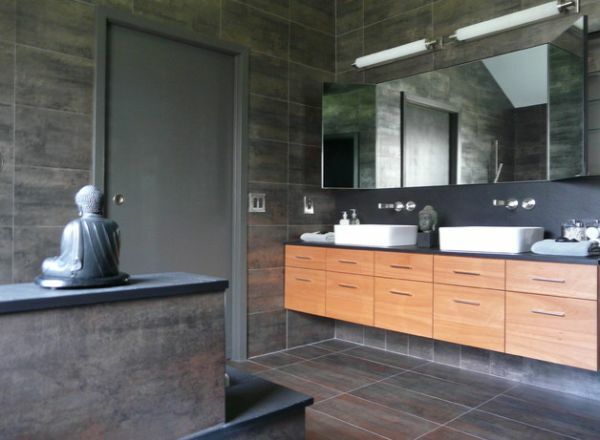 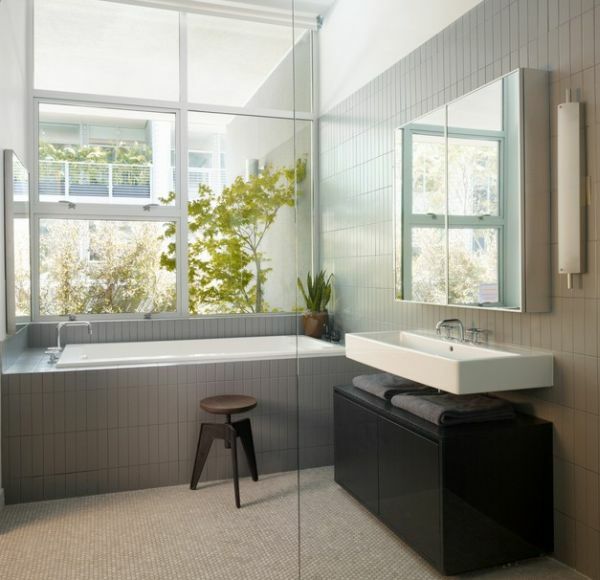 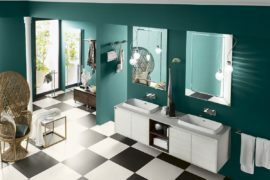 There are a certain things that are considered a must in almost every contemporary home and while we may not worry excessively about bathroom design when planning for a new home, it is still important to get it right. 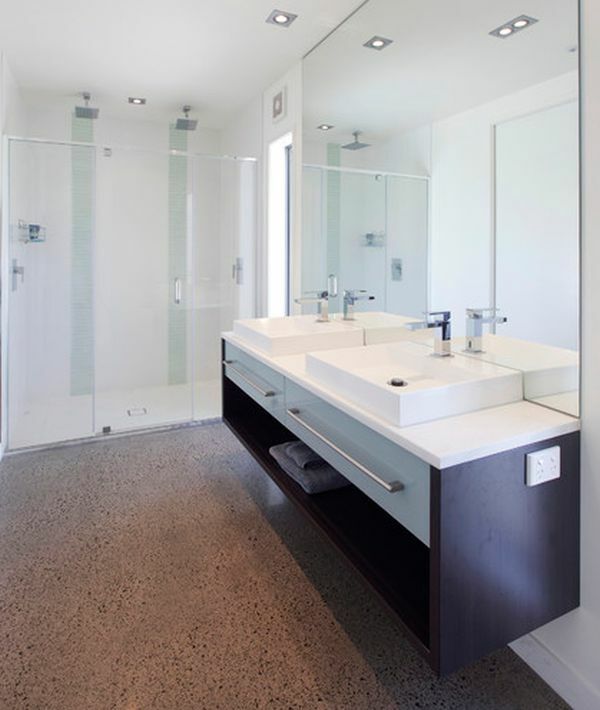 While the living room and the bedrooms might take up most of your planning time, one must not forget that designing a bathroom that seems like a natural extension of the rest of the home is a must to ensure that you have a complete house which has a single flowing theme. 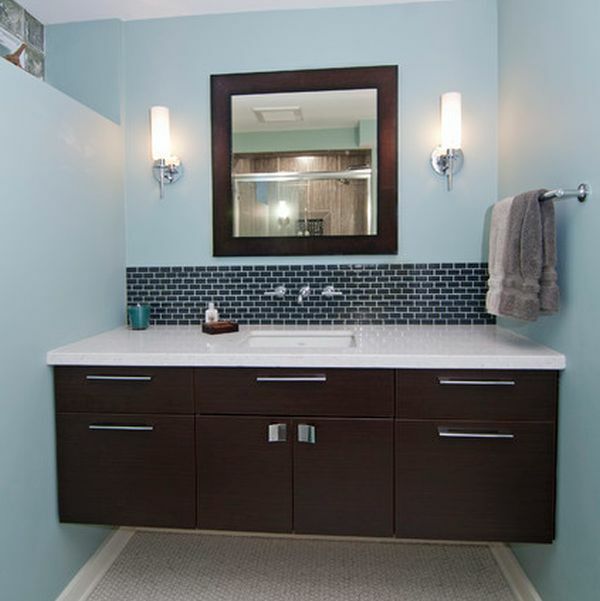 A sink and cabinet underneath are generally considered as mandatory part of every bathroom and this is exactly where you can make an individual choice that is custom fit to your residence and will serve you well. 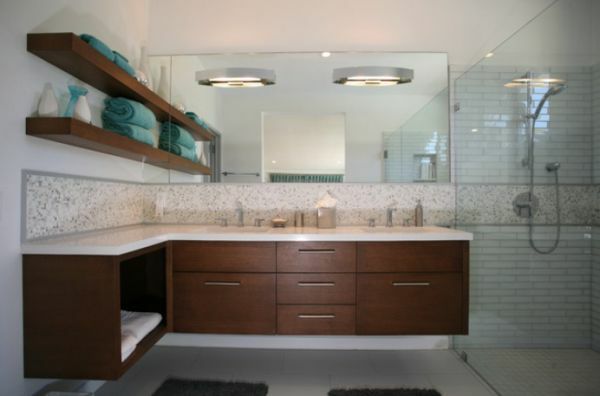 Floating sink and cabinet designs are all the rave currently thanks to the many advantages that they offer. 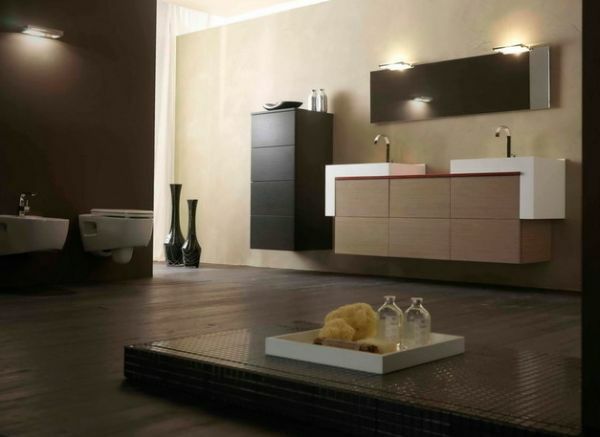 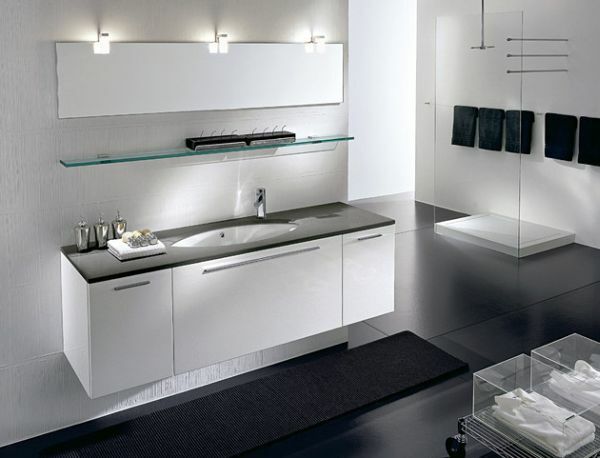 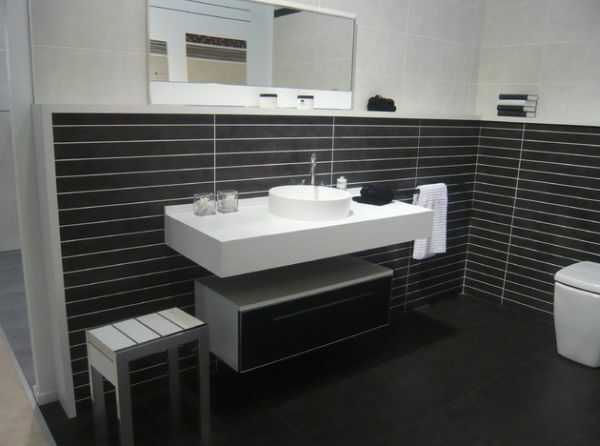 We bring you here a varied collection of floating bathroom sink and cabinet combinations that will help you in making a more informed choice. 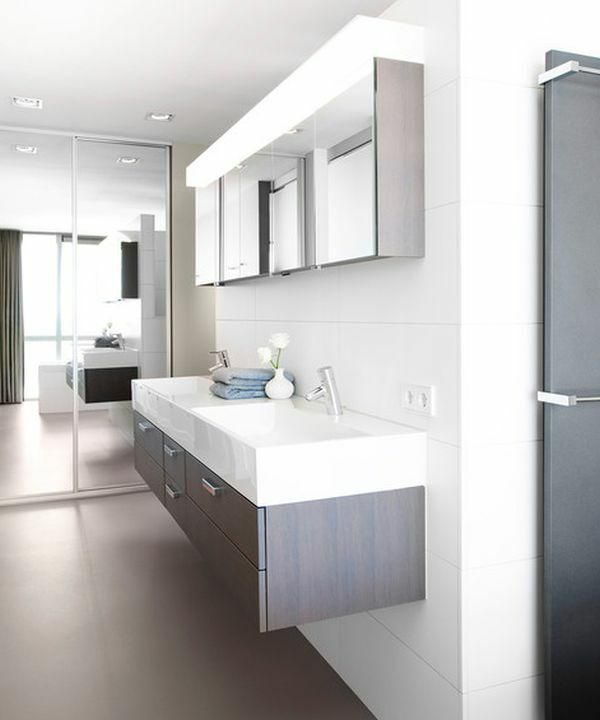 One of the fast growing necessities of modern living structures is use of the available space to the absolute hilt. 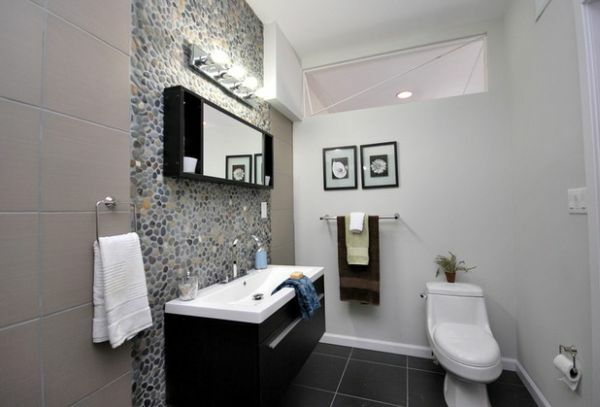 That is completely understandable considering the premium that most of us need to fork out in order to acquire a home and this trend is no longer just confined to the big cities. 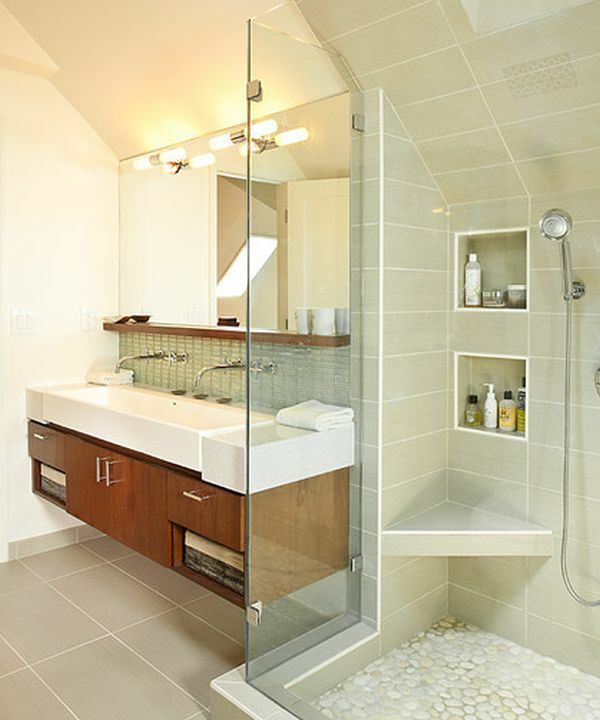 With cool little lofts and apartment studios becoming pretty popular a floating bathroom vanity does save up on much needed leg room. 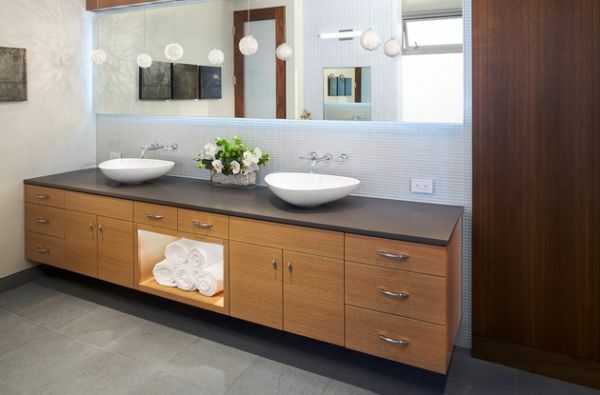 Just like the stylish home work station under the stair or smart storage shelves hidden away daftly, a floating sink and cabinet design uncomplicated the space and fit in seamlessly even in the tiniest of rooms. 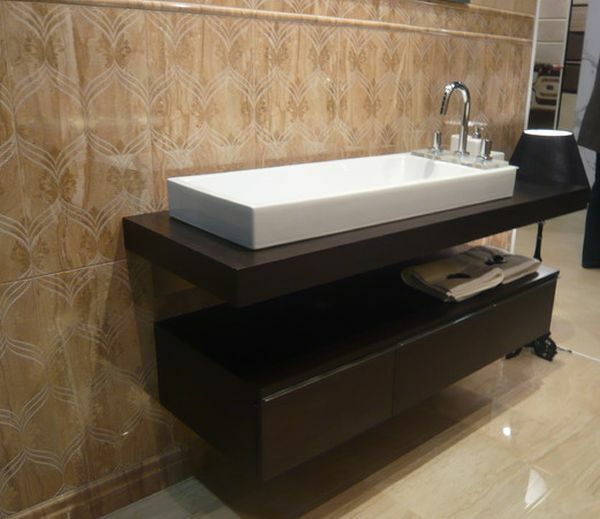 The beauty of a floating sink cabinet in the bathroom is that it lends a sense of authenticity to the modern theme that you have going in your interiors. 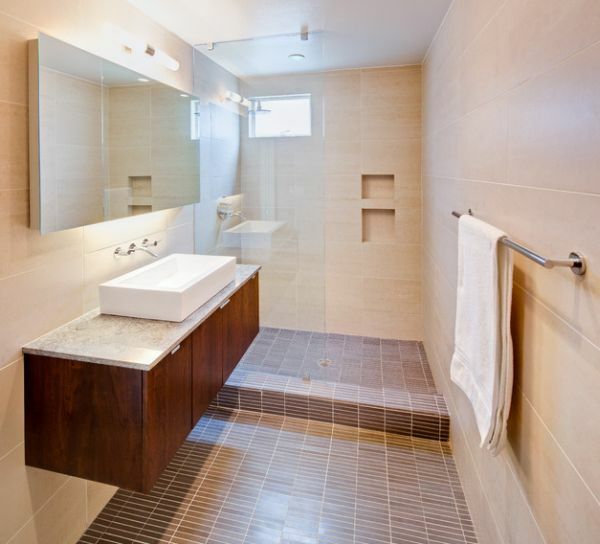 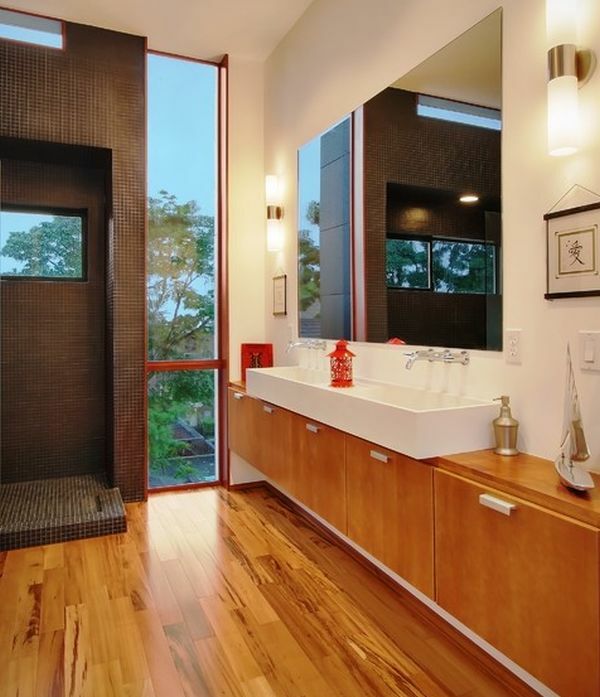 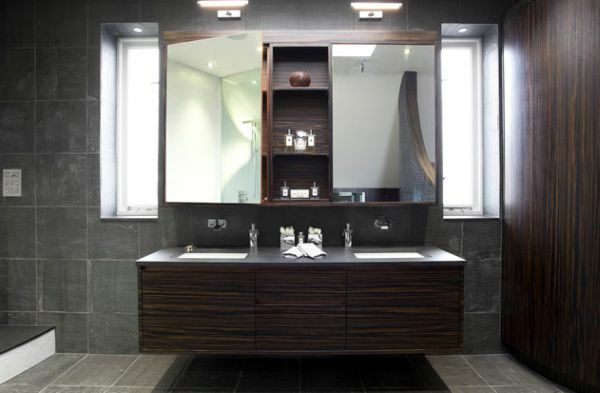 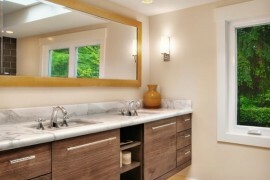 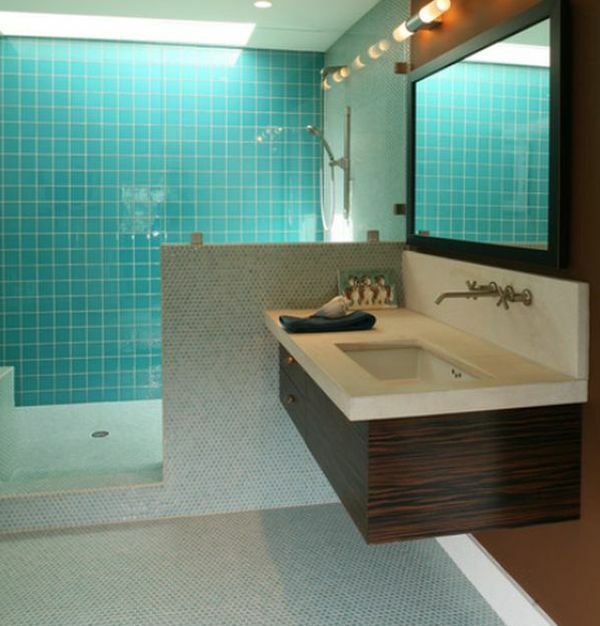 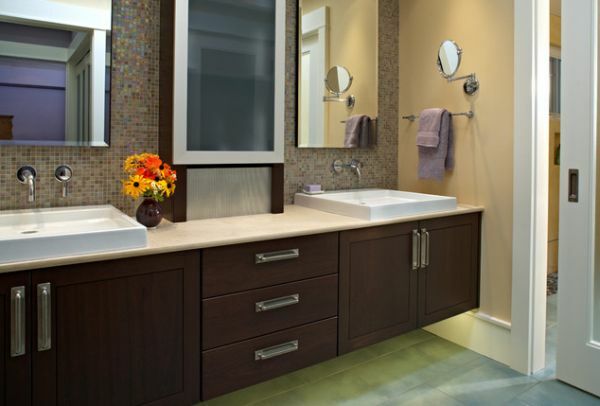 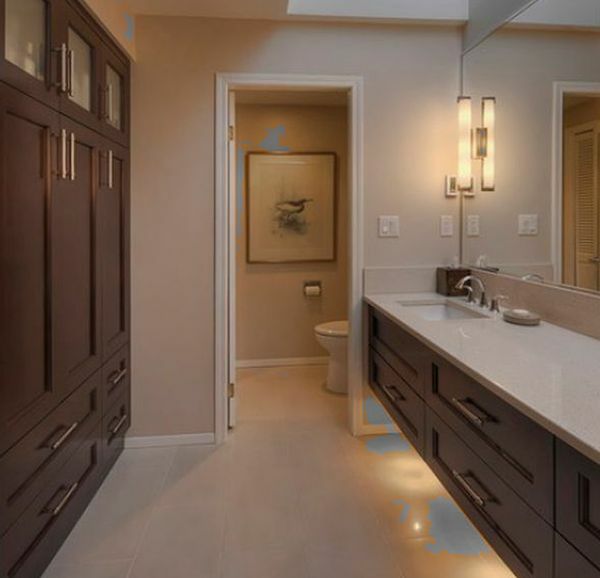 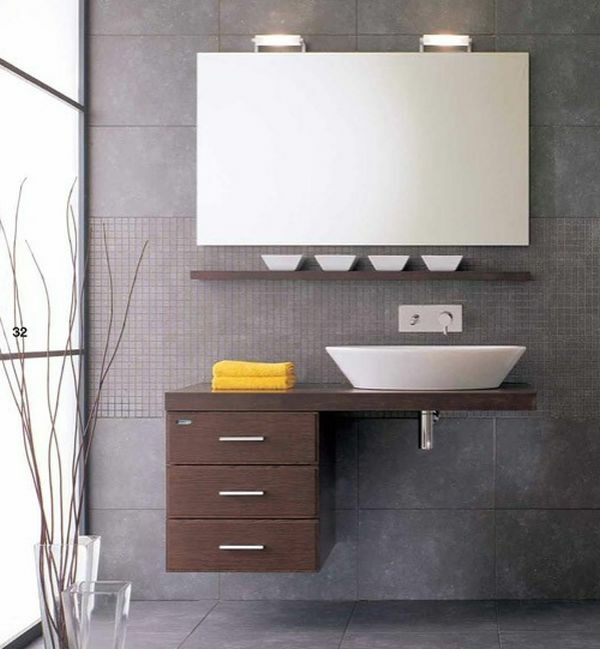 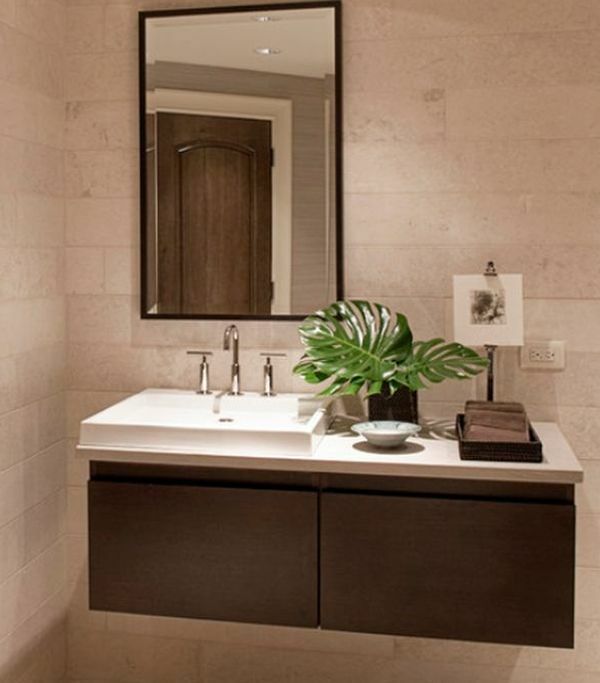 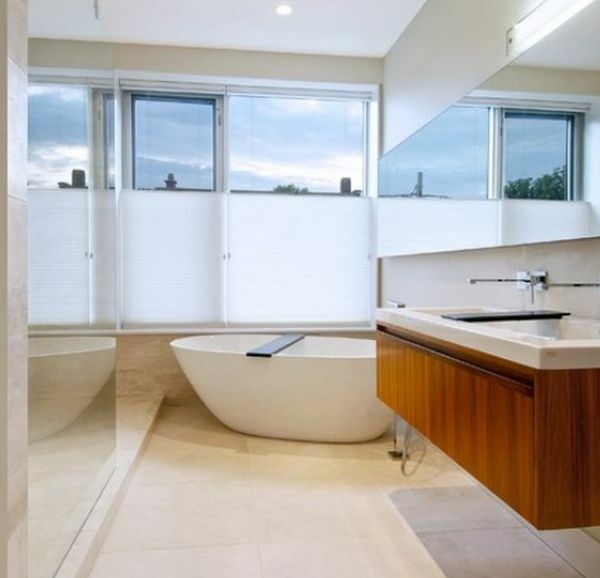 To put it in more straightforward terms, a floating bathroom vanity is the ‘in’ trend of the times. 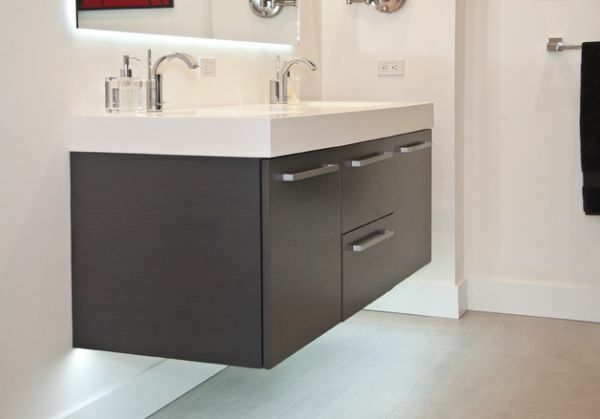 With its stylish look and sleek form, the vanity is a perfect addition to a bathroom that wishes to embrace modern minimalism and yet stay true to the theme of the rest of the home. 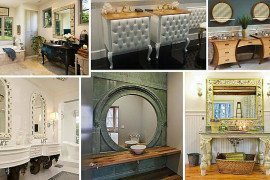 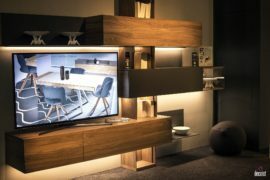 Of course, that definitely does not mean that you are stick with only minimalist designs as you can still go for a vintage look in wood or a retro look with a splash of color as well. 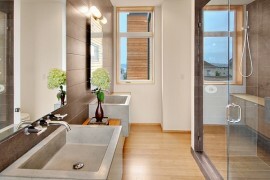 The multitude of options available her are an added bonus. 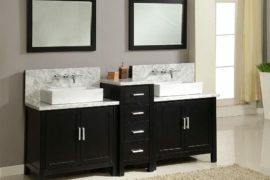 The one thing that you do need to take care about when going for a floating vanity in the bathroom is the way you set it up. 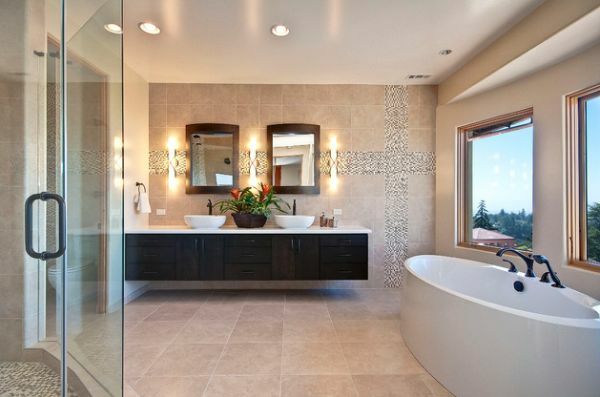 If it is not aligned in a precise fashion, then your picture perfect dream bathroom can easily turn into a skewed nightmare that looks both ungainly and unappealing. 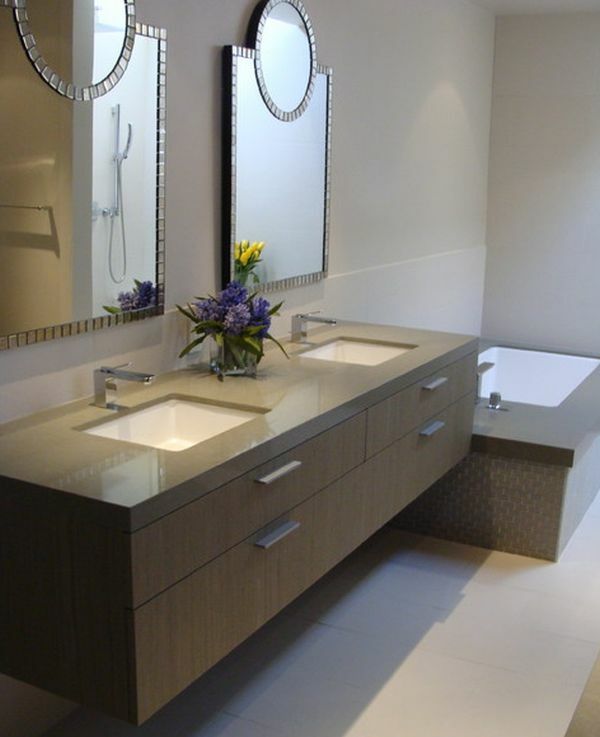 Ensure that you always have an expert put up your floating sink and cabinet as it needs to be perfectly parallel to the ground and put in the appropriate position. 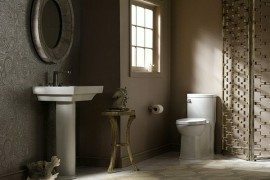 Since it is the wall that needs to support all the weight, take that into consideration as well. 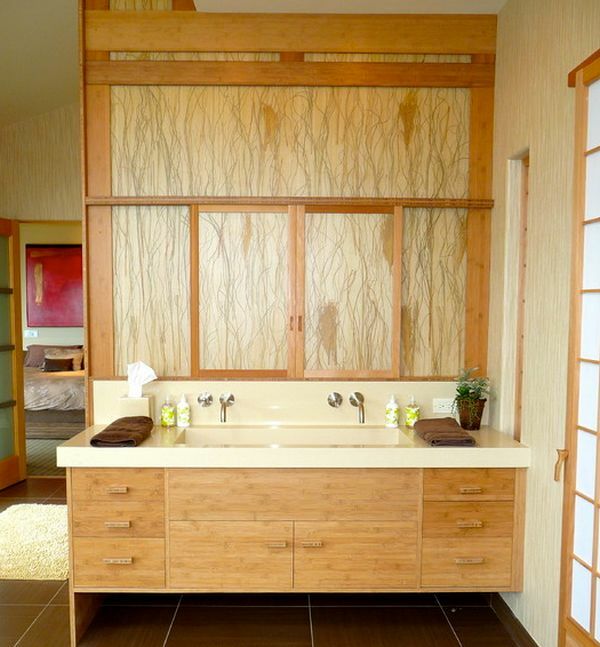 While picking the floating vanity of that enhances your bathrooms is essential, so is installing it a clear-cut fashion without errors.